The fifth day was a nice ride north of Akureyri. Our day took off with a short trip to eastern coast of Hvammstangi peninsula. There are nice rocky stacks, but we were aiming to wildlife. From the parking lot there is a paths that brings you on a field guarded by Arctic terns. Those birds lay their eggs among the grass and are quite aggressive with intruders. This time they took one step further in our ‘war’… biohazardous weapons. This time we were ready to get some close encounters pictures. About 100 meters south there is a beach where seals love to take sunbaths. From Blonduos we left ring road for roads 744 and 76. Here we did a stop for lunch and some pics to Pordarhofdi. Continuing along route 76 we reached Siglufjordur: a small pearl hidden in the northern fjords. 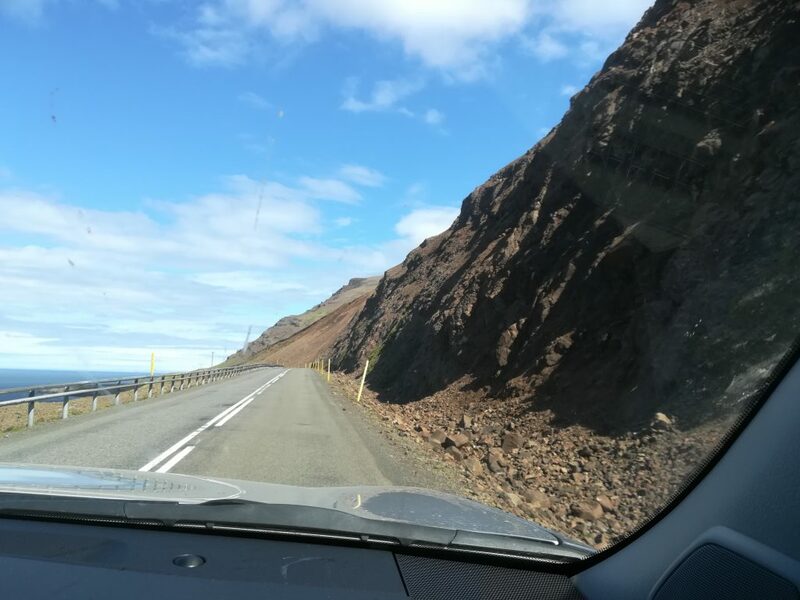 South of Dalvik we splitted up. My father tried birdwatching in the sorroundings, meanwhile my mother and I took a ferry to Hrisey. Sadly there were no tours of the island available. The strong wind led us to restaurant Verbudin 66. Here we enjoyed excellent fish and chips.